After homegrown e-tailers Flipkart and Snapdeal, the Indian arm of the world's biggest e-commerce company Amazon.com, Inc. will have its own digital wallet. The company has secured a licence from the Reserve Bank of India (RBI) to operate a prepaid payment instrument (PPI), becoming the latest entrant into the country's booming financial technology space. According to the RBI website, Amazon Online Distribution Services Pvt. Ltd secured the licence late last month. “RBI is in the process of finalising the guidelines for PPIs. We look forward to seeing a continuation of low-limit wallet dispensation with simplified KYC and authentication. This will allow us to help customers adopt digital payments at scale," Sriram Jagannathan, vice president, payments, Amazon India, said in response to a query from VCCircle. A former Citibank executive, Jagannathan joined Amazon India in February 2016 to head its payments business. In December, the company had launched Amazon Pay Balance, a payment option similar to mobile wallets, except it was restricted to transactions on Amazon. The new wallet licence is expected to be linked to Amazon Pay. "We recently launched Amazon Pay where customers can fund their pre-paid balance using internet banking and credit/debit card for smooth purchases and payments. We will continue to improve customer experience and increasing digital payments leveraging our PPI licence,” Jagannathan added. However, the company did not disclose whether, after securing a full-fledged wallet licence, it will open Amazon Pay to other platforms as well. Apart from Amazon Pay, Amazon India used e-gift cards for transactions on its online marketplace. The gift cards were powered by Bangalore-based startup QwikCilver Solutions, in which Amazon picked up a minority stake in 2014. However, QwikCilver also happens to have its own PPI licence. Amazon has merged its e-gift cards into Amazon Pay. Besides, in February, it bought Noida-based payment gateway firm Emvantage, marking its first acquisition in India. Amazon's rising focus on digital payments can be gauged from recent developments at the firm. The authorised share capital of Amazon Online Distribution Services has risen from Rs 69 crore to Rs 400 crore, The Economic Times reported in January quoting a Registrar of Companies (RoC) filing. But is this likely to yield stellar results? Sanjay Khan Nagra, senior associate at law firm Khaitan & Co, feels no one has been able to leverage their PPI licence or acquisition [of wallets] like, say, Paytm. He thinks if Amazon is looking to use its wallet like Flipkart and Snapdeal, there is little value. "But if Amazon does some tie-ups around its wallet's acceptance and discounts for consumers, it could bring results. Acceptability of the wallet is important," he says. However, Sanjay Swamy, managing partner at fintech-focussed fund Prime Venture Partners, believes Amazon will be using its wallet licence to make customer experience delightful. "With wallet, the first thing would be to look at refunds. The wallet will give Amazon the ability to give instant refunds to customers. Second, the checkout process will be simplified with two-factor authentication, one-time password etc. for customers who frequently shop on Amazon. The third possibility is making itself a payment instrument," Swamy says. He, however, feels that Amazon's near-term focus would be to make consumers' life more convenient on its own site, and it might look at other platforms later. Most frontline e-commerce players in the country are looking to have their own digital wallets to achieve scale and have control over the most important aspect of the online shopping funnel, that is, payments. Flipkart has its own digital wallet, the UPI-enabled PhonePe which it acquired in April 2016 to strengthen its payments business. Today, the platform claims to have crossed 10 million downloads on Google Play. The Yes Bank-powered digital payments app claims to be doing over a lakh transactions every day. The beleaguered Snapdeal was India's first e-commerce company to bet on digital payments. It shelled out nearly $400 million to buy mobile wallet FreeCharge to push up transaction volumes for Snapdeal as a group. Today, FreeCharge stands a distant third in the pecking order with market leader Paytm topping the charts. 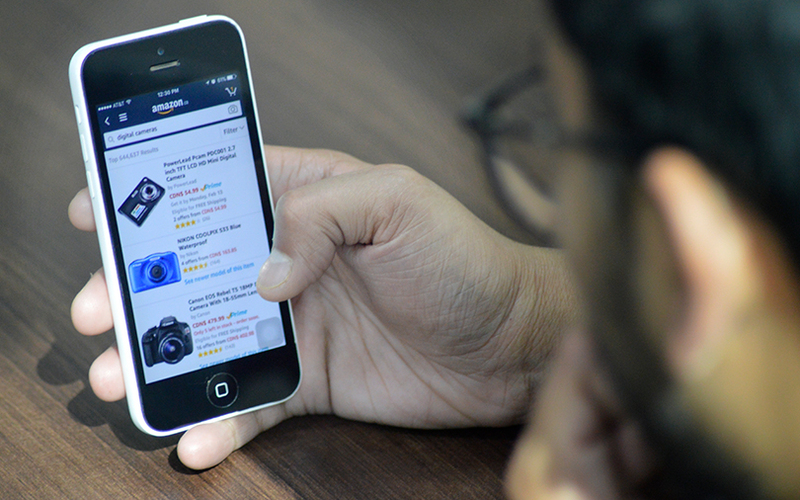 Online shopping marketplace ShopClues also acquired Bangalore-based Momoe Technologies Pvt. Ltd last year to build its payments business. The e-tailer plans to use Momoe’s technology to boost its payment network. According to a study by Google and consulting firm BCG, India's payments market is expected to be worth $500 billion by 2020.